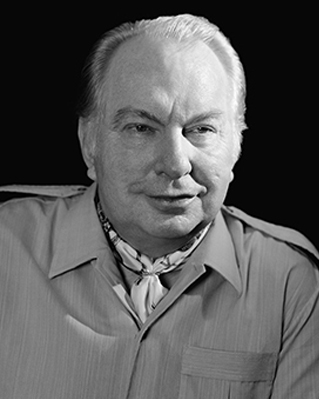 With 19 New York Times bestsellers and more than 350 million copies of his works in circulation, L. Ron Hubbard is among the most acclaimed and widely read authors of our time. He was further among the most prolific and popular writers through the Golden Age of Pulp Fiction. Indeed, between 1934 and 1950, more than 200 L. Ron Hubbard tales appeared in the pages of legendary all-fiction magazines—often as many as three titles an issue and bylined under some 15 pen names. To meet such demand, he regularly produced between seventy-five and a hundred thousand words a month, with a 90% acceptance rate from publishers—first draft, first submission. Consequently, rarely a month passed when the name L. Ron Hubbard did not grace the cover of a major all-fiction magazine. That his stories were uniquely drawn from true-to-life experience, including then rare voyages to Asia and the South Pacific, is likewise part of the L. Ron Hubbard legend. While as another word on the substance behind that legend: between fictional tales of high-seas adventure and far-flung exploration, L. Ron Hubbard captained two expeditions to the Caribbean and yet another across the Alaskan Panhandle. Accordingly, and before the age of thirty, he was admitted to the famed Explorers Club and earned a rare Master Mariner’s license. What is generally regarded as L. Ron Hubbard’s magnum opus, however, is the 10-volume Mission Earth series. Also an immediate international bestseller (with each volume successively rising to the New York Times list), the series is still landmark in publishing history. Moreover, with a third generation of readers now discovering the tales of L. Ron Hubbard, he has forever secured his place in the annals of popular fiction. For a full a biographical chronology go to GalaxyPress.com.